The Kerrick SkyVacuum Industrial 85 provides safe and easy gutter vacuuming solutions on a commercial and industrial scale. 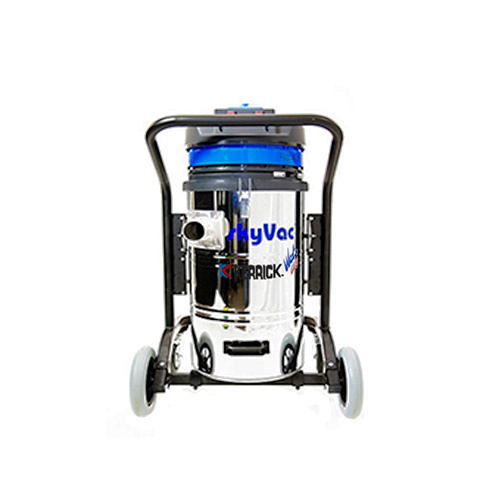 The powerful 2 motor wet dry vacuum quickly eats away at moss, mud and debris that builds up over time in gutters, making it ideal for heavy duty use on domestic and commercial properties, retail outlets, factories, schools, offices and hospitals. Removing the need for ladders, scaffolding and cherry pickers (which are time consuming and OH&S risks), the SkyVac gutter vacuum system allows work to be carried out at extreme heights by simply attaching the relevant poles and nozzles to the vacuum hose. Unit comes with assorted tools, wireless camera and inspection monitor to make vacuuming gutters as safe and easy as possible.